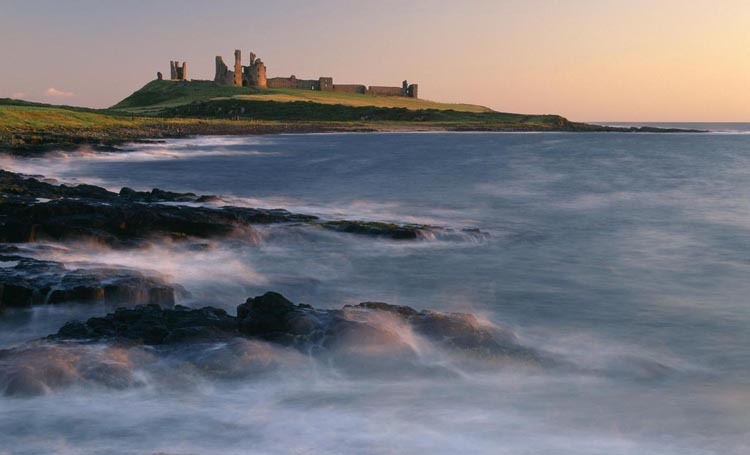 With a savage and fearful past, the breathtaking Northumbrian coast is peppered with once magnificent castles – the following: Dunstanburgh, Warkworth and Tynemouth, are in the care of English Heritage. 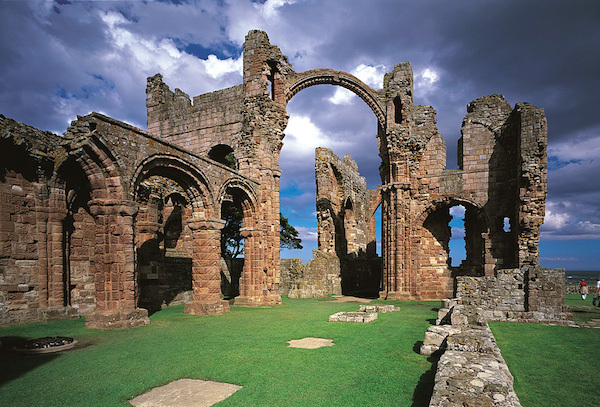 You will learn of our military past at Berwick-upon-Tweed Barracks with its lively exhibition, while further south lies Holy Island, sacred home to Lindisfarne Priory and still a site of pilgrimage as the original burial place of St Cuthbert. 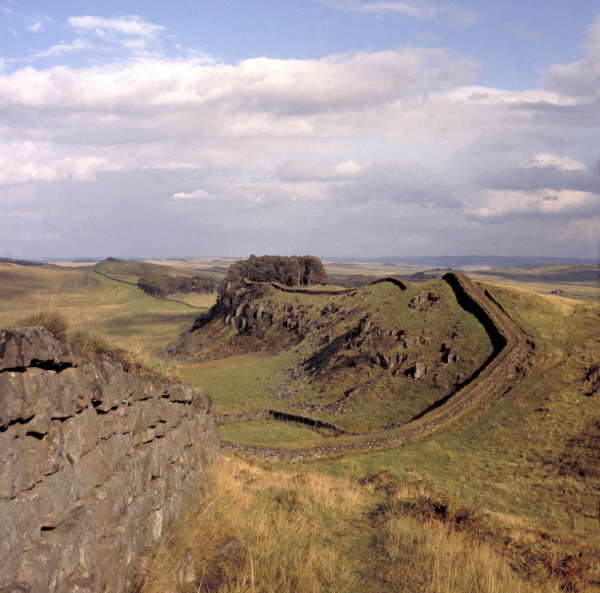 Hadrian’s Wall slices through 73 miles of stunning countryside, standing testament to a bloody and restless history. 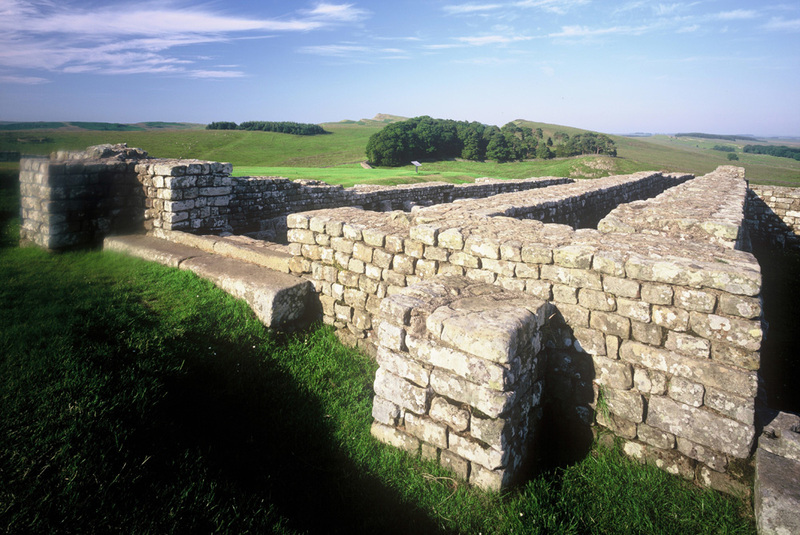 Do visit the Roman forts, where Hadrian’s soldiers lived while defending England’s northern frontier. 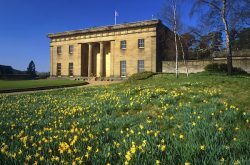 North west of Newcastle you will find Belsay Hall where you can explore 30 acres of the most spectacular landscaped grounds and glorious gardens. 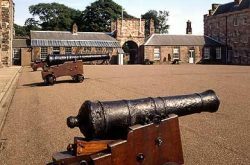 We have listed other EH sites worth a visit if you have the time whilst visiting the area. 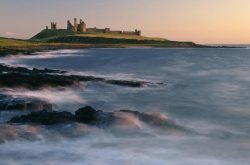 Dramatic Dunstanburgh Castle was built at a time of political crisis and Anglo-Scottish conflict, when relations soured between King Edward II and his nephew, Thomas Earl of Lancaster, who built the castle. The fallout from their quarrel led eventually to rebellion and the capture and execution of Thomas in 1322. By the 16th century, Dunstanburgh had fallen into decay. It had been built on the grandest possible scale and had reflected the lavish tastes of the earl, but was then left to ruin, perceived to be of no further use. 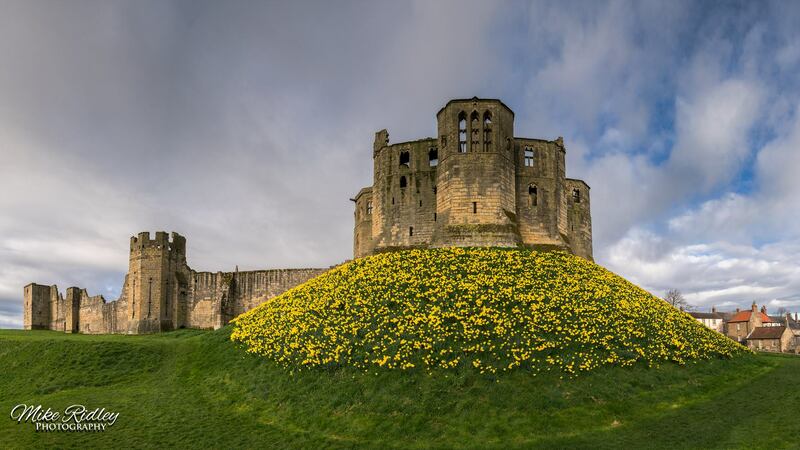 A hillside stronghold and home to the Percy family of Shakespearean fame, set in the beautiful historic village of Warkworth The majestic keep of Warkworth is one of the masterpieces of late medieval architecture. 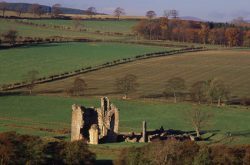 It dominates the castle which stands on a hill high above the River Coquet. A complex stronghold, it was home to the immensely powerful Percy family, which at times wielded more sway in the north than the king. Most famous of them all was Harry Hotspur (Sir Henry Percy), of Shakespeare’s Henry IV fame. Hotspur, who was immortalised in many Northumberland ballads, dominated the Borders in the 15th century alongside his father, the Earl of Northumberland. Together, they fought off the Scots on behalf of the King, before assisting in the removal of Richard II from the throne. As home to this great family, Warkworth was, and still is, an impressive castle. 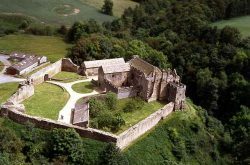 Set in a beautiful valley, this complex ruin boasts defensive features dating from the 13th to 15th centuries. 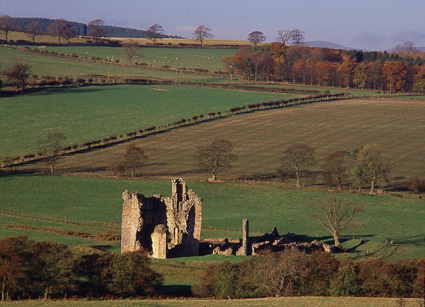 The ruins of Edlingham Castle stand next to Edlingham Burn in a rugged but attractive valley. John de Edlingham built a large two-storey Hall House in a moated enclosure in the mid 13th century. 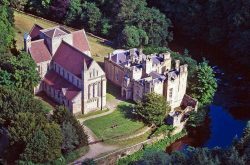 In 1296 the property was taken over by Sir William de Felton who added a palisade inside the moat and a gatehouse on the north side. In about 1340 his son further improved the castle and added the solar tower, a gate tower and stone curtain walls. The tower contained three well-appointed rooms and was linked to the hall house by a small forebuilding. 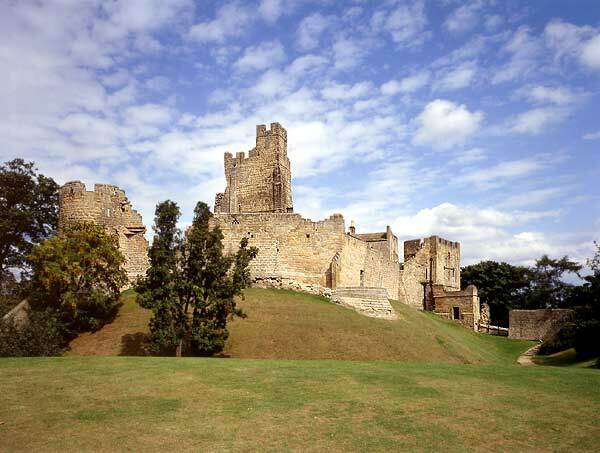 After 1420 ownership passed to the Hastings family until 1519 and then to the Swinburnes. These two families did not need the defensive capabilities of a castle, and until its final abandonment in 1650 the property was used as a farm with several of the buildings converted to house livestock. 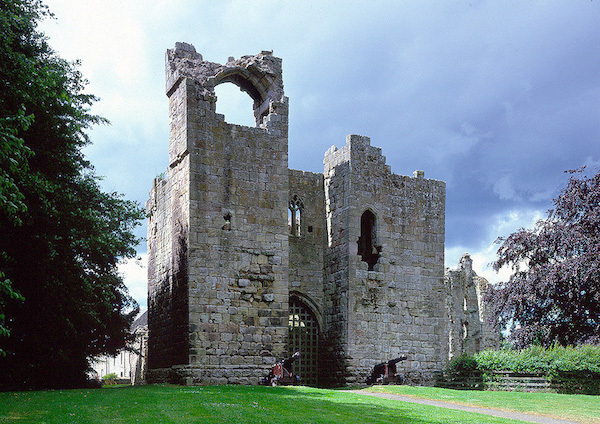 4 miles SE of Rothbury is a perfect example of an early Gothic Priory. 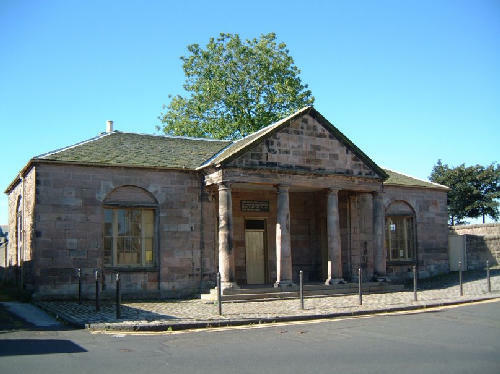 Brinkburn dates back to 1135 when it was founded by Augustinian canons. Brinkburn fell into ruin following the dissolution of the Monasteries by Henry VIII after 1529. The Priory was fully restored in the 19th century. The acoustics at Brinkburn are second to none! Belsay Hall was built during the 19th century by Sir Charles Monck. The Hall was built in the grounds of a 13th century castle, which later was converted into a Manor house. The Manor House is now a picturesque ruin. Belsay Hall was rescued by English Heritage and saved for the nation to enjoy. The gardens, some of which are in the shelter of the old quarry, grow many exotic and unusual plants and trees. For opening times tel. 01661 881636. Berwick Castle is an important 12th century stone keep and courtyard fortress, founded by King David I. Standing against the steep slope of the River Tweed, its high curtain wall, flanked by nine towers, protected a range of magnificent inner buildings. 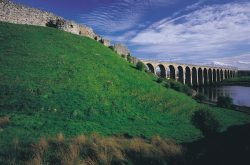 Few castles can have seen as much military action and changed hands as frequently over the centuries that England and Scotland were in conflict and the main surviving remnant is the White Wall that descends from the railway to the banks of the River Tweed. 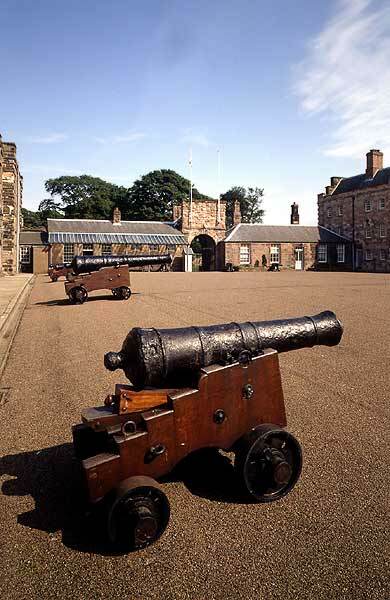 The Berwick Barracks, among the first to be purpose-built, were begun in 1717 based on a sketch by the distinguished court architect Nicolas Hawksmoor. Today, the Barracks hosts a number of attractions, including By Beat of Drum – an exhibition on the life of the British infantryman. 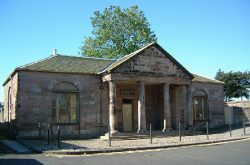 While there, make sure you visit the Regimental Museum of the King’s Own Scottish Borderers, Contemporary Art Gallery (Apr-Aug) and Clock Block exhibition. One of the original guard houses dating from 1682, it was moved from Margate to its present location near the quay in 1815. 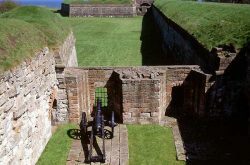 A Neo-Georgian military guard house, run by the local civic society, it has been developed to show the history of Berwick walls and forts, with its permanent “The Story of a Border Garrison Town” exhibition. 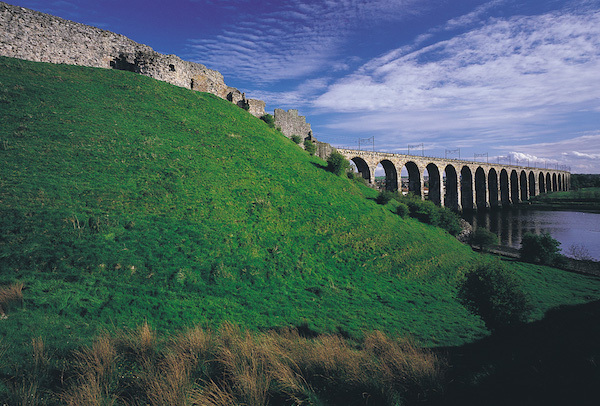 Berwick Ramparts are a huge complex of 16th century town fortifications, founded by Queen Mary. 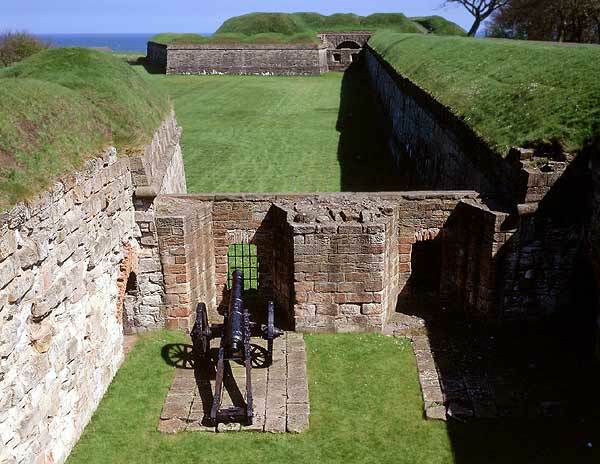 Built inside the medieval town wall, which was then abandoned, they gave defence against the development of artillery and are unique in Britain. One and a half miles in length, the stone-faced ramparts are strengthened by immense arrowhead-shape bastions, which flanked huge wet ditches. The open ground of Magdalen Fields, is protected by the Bell Tower and an earthwork traverse line, which ends with the Great Bulwark Redoubt. Cowport is the only Elizabethan gateway remaining, its vaulted tunnel through the rampart was defended by a portcullis and still has a massive 18th century wooden gate. In the 17th century, the ramparts were given an earthwork parapet and all the bastions except King’s, were heighten with earthwork cavaliers. 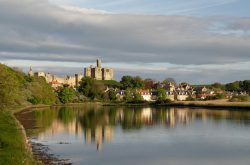 Nearby is the Lord’s Mount and Berwick Castle. 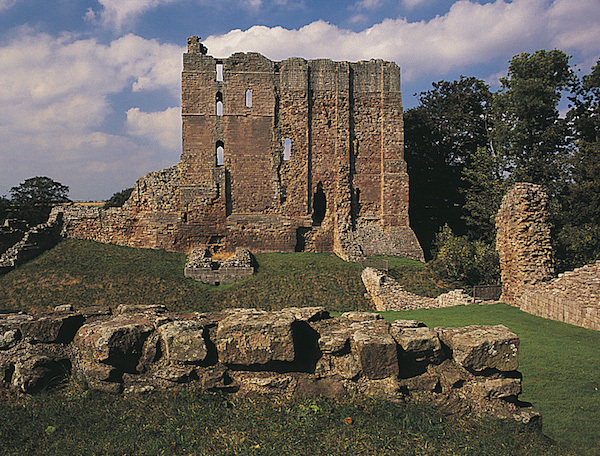 Norham was one of the strongest of the border castles. Built in the latter half of the 12th century, it came under siege several times during its 400-year history as a military stronghold. 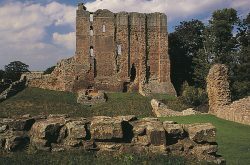 Norham’s massive walls proved impenetrable during many of these attacks, but when James IV of Scotland stormed it in 1513, it fell and was largely destroyed. The Great Tower shows signs of four building phases spanning the 12th to 16th centuries. 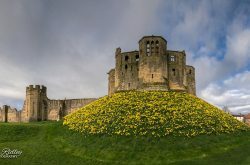 Much of what can be seen today dates from the extensive repairs to the castle and the re-roofing of the Great Tower that followed the siege of 1513. 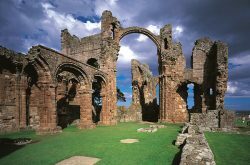 Lindisfarne Priory on Holy Island was the site of one of the most important early centres of Christianity in Anglo-Saxon England. And it was not unfamiliar with the odd miracle or two. 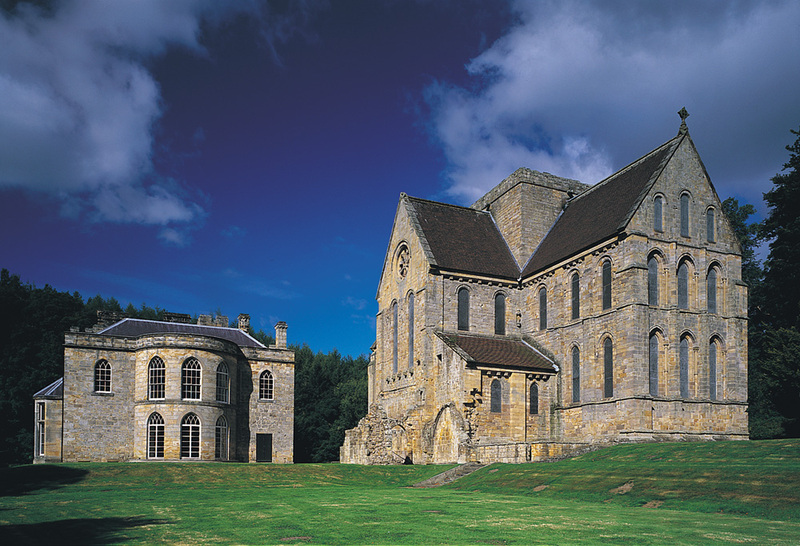 Founded by St Aidan in ad635, the monastery was transformed by the figure of Saint Cuthbert. An exceedingly holy man, Cuthbert had withdrawn to be a hermit on the lonely Farne Islands, returning to Lindisfarne to die. In ad698, 11 years after his death and burial here, Cuthbert’s corpse was exhumed and found to be miraculously undecayed. The relics of this holy man survive to this day in Durham Cathedral. In Cumbria – Harrow’s Scar Milecastle, Birdoswald Fort, Pike Hill Signal Turret, Leahil Turret, Piper Sike Turret, Banks East Turret and Hare Hill. A stone, two-storey fortified farmhouse, built during the 16th century and set in splendid walking country on the Reivers Route. Within the strong walls, farmers and reivers found security for their livestock on the ground floor and for their family above. The original gable door has been blocked and the two ground floor doors and the external stone steps to the living quarters above, are later additions. 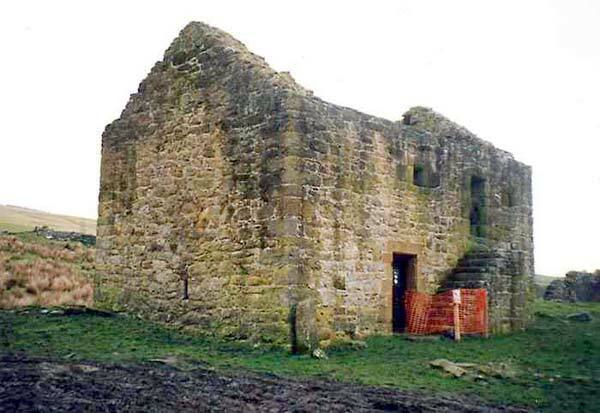 Nearby are the ruins of a 18th century cottage, which stands on the foundations of an other possible bastle house. 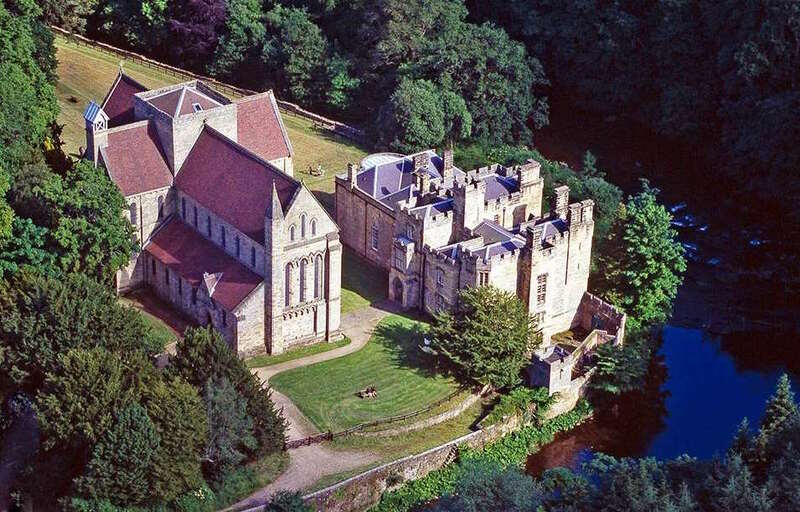 Aydon Castle is a late 13th century stone fortified manor house, one of the finest of its era. Originally undefended when first built by Robert de Reymes, it was sited with three sides standing against the steep banks of the Cor Burn. 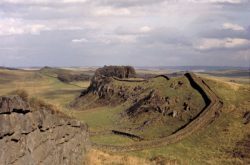 Its construction coincided with a new period of conflict with Scotland and improving the defences with the addition of battlements didn’t stop the Scots from sacking the property in 1315 and again in 1346. However, it has remained relatively unchanged since this period. 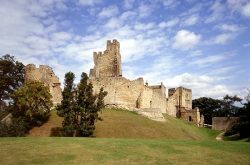 On a wooded hillside overlooking the River Tyne stand the remains of this formidable castle. Archaeological evidence reveals that a defended enclosure existed on the site as early as the mid-11th century. Today, inside the defensive ditches and walls, the Georgian manor house is a dominating feature. 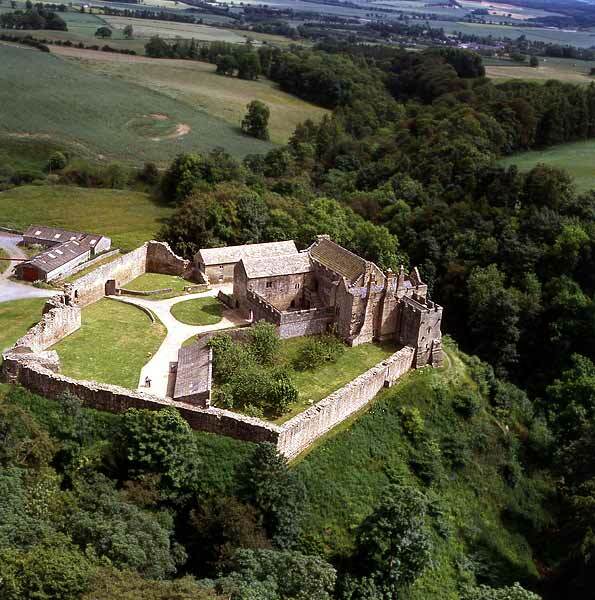 The castle was successfully defended against many Scottish attacks, resisting sieges in 1173 and 1175. This was famously recorded by the contemporary chronicler, Jordan Fantosme. Additional attractions at the castle include a small exhibition and video presentation, a beautiful picnic spot and brass rubbing.